Grass-fed cows naturally have more omega-3 and other ‘good fats’ like DPA and CLA, which have anti-inflammatory properties. “The trouble is, it’s hard to tell whether these associations are linked to meat, or other diet and lifestyle factors,” says Professor Cameron-Smith. 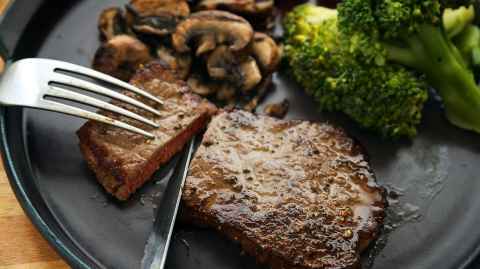 The researchers recruited participants who are on heavy side with slightly high cholesterol, aged 35-55 years and consuming red meat in their regular diet. They receive three servings of red meat (or alternative) per week for eight weeks. Before and after going on the diet, they visit the Institute to give blood, urine and stool samples. Results are expected mid-2019. The study is funded by national science challenge High-Value Nutrition in partnership with beef producer First Light. To find out more about Liggins Institute research, visit the clinical studies page.